The information card had a short profile of the men’s and women’s scents of the month on opposite sides. There was also a card reminding you that you can do exchanges, as well as a coupon for full-sized bottles of fragrance. I am not normally into florals but they do work for me with the right combination of other notes. I like that the fruity notes aren’t entirely citrus (no bergamot or mandarin here, not that I don’t like those but they are super common) and that the florals aren’t overpowering, despite the name. Sillage is relatively low with this one and longevity is about average (possibly requiring reapplication about midday). Verdict: The estimated value of my fragrance this month is $7.20. That is a little less than half the cost of the subscription. I do note a couple of things, though. (1) The value in fragrance subscriptions can be manipulated based on what fragrances you choose to fill your queue with (you can go with all super expensive ones if that’s what you want). (2) Unlike with some of the other fragrance subscriptions, you get a new case every month with Scent Box. 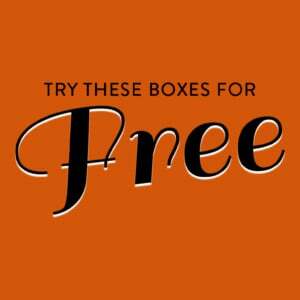 (3) If you end up with a fragrance you don’t like, you can do up to one free exchange per month. That last point is what really sets Scent Box apart from similar services, I think. 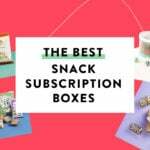 Check out all of our Scent Box reviews and other great fragrance subscription boxes in the Beauty Subscription Box List! I’ve tried a few of the fragrance subscription boxes but I like that, unlike with the other services, you get a new case each month, instead of having to pay for a case separately. I think I’m gonna check this sub out. Just FYI, you can’t take it out of the case (which is why you get a new one every month). I tried last month and only succeeded in popping the top of the sprayer off. (It went back on easily enough and still worked afterwards.) But as you can see, they label the bottoms so you know what’s what. The other feature here that similar boxes don’t offer is the exchanges. As I mentioned in the first review you CAN take these out of the case. Makes it a much better deal to me than the “other” sub.